Ms. Valtierra graduated from the University of Illinois College of Law in 2017. She graduated from Michigan State University with a Bachelor of Arts in Political Science degree - Pre-Law and Minor in Philosophy of Law in May 2014. Ms. Valtierra was admitted to the Illinois bar in November, 2017. 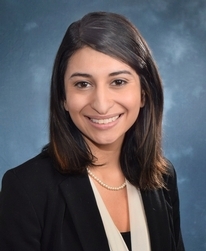 Elaina Valtierra is a litigation associate of Lipe Lyons Murphy Nahrstadt & Pontikis Ltd. who focuses her practice on the defense of premise liability, construction liability, transportation liability, and product liability claims. Prior to joining Lipe Lyons, Ms. Valtierra was a Legal Fellow at the City of Chicago Mayor’s Office and the City of Chicago Department of Law.